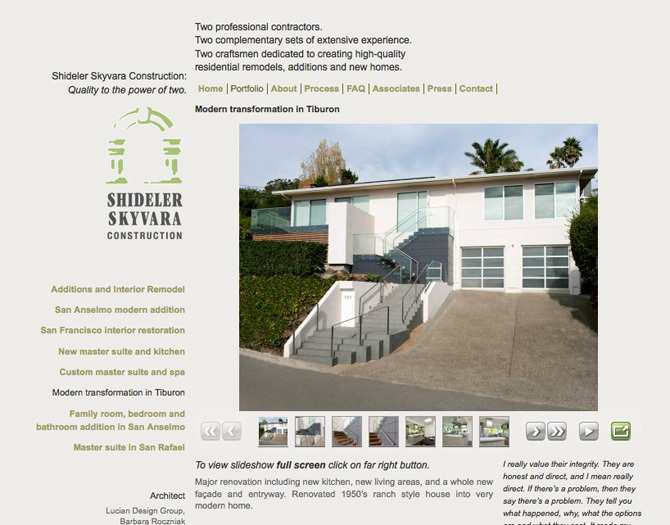 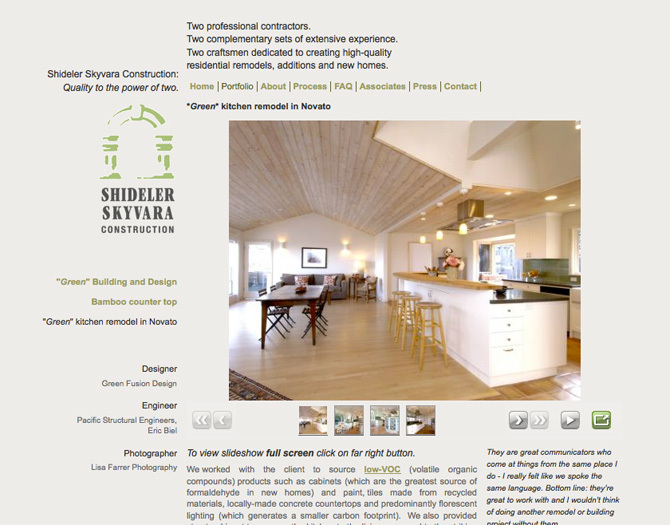 Shideler Skyvara are great contractors. 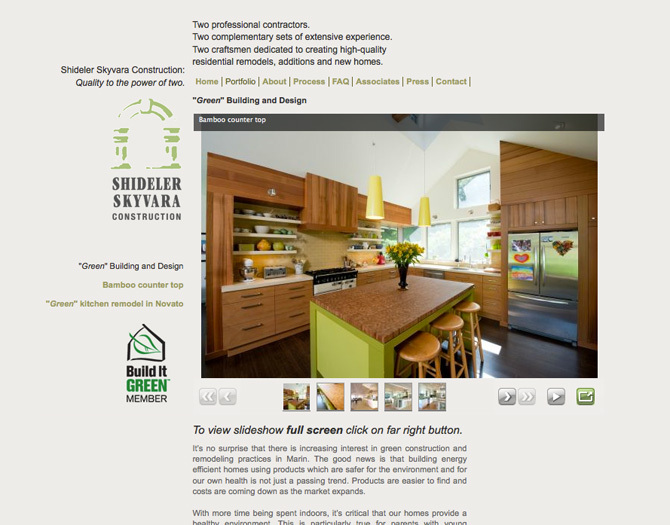 They take great pride in their work, and their clients refer and use them repeatedly. 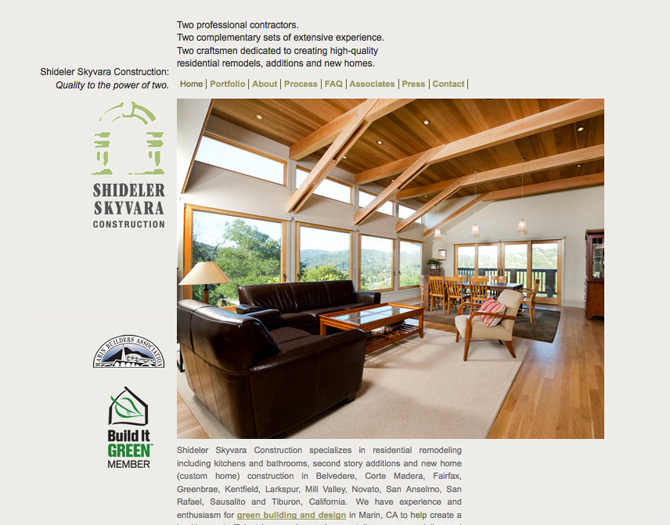 This Marin County Construction and Remodeling company needed to showcase their beautiful work online so it can be easily viewed so I came up with a clean and minimal design. 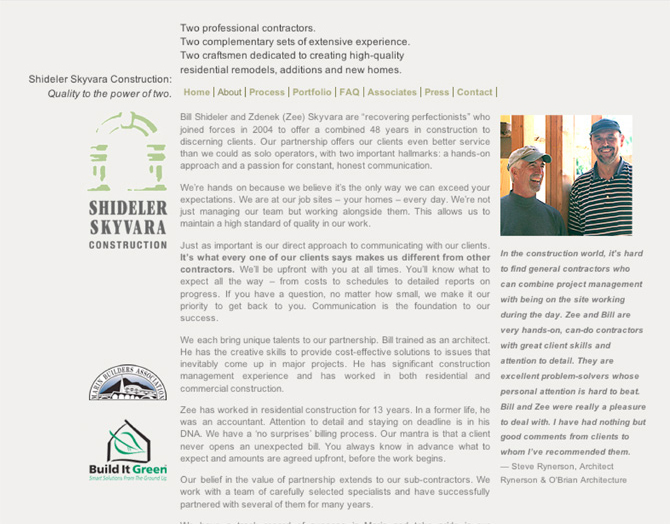 We also wanted to invite trust by sharing their process, supplying resources, and answering as many questions as possible up front.